The Indian epic that is so close to reality; there is nothing in the world that is not Mahabharata. Mahabharata is not just a religious text; it’s a work of art. Some of the greatest life lessons can be learnt from the Mahabharata and the understanding of its events and characters. Mahabharata is known to be the longest poem ever written and is authored by Vyasa. 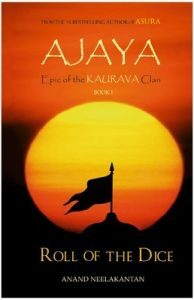 Ajaya is the narrative of the Kauravas. Kauravas were known to be unconquerable but were decimated entirely. The book comes in two parts- Book I- Roll of the Dice and Book II- The Rise of Kali. What makes the book worth reading is the fact that it is a retelling of the Mahabharata by the defeated. While you may find books on Arjun, Krishna and other Pandavas, this book, narrating the story of Duryodhana is a first of its kind. The novel will present Duryodhana in a very different light from how people have always perceived him and will make of think of ways in which the war could have been avoided. M.T. Vasudevan Nair’s Bhima is a study of the life the second son of Pandavas – Bhima. Constantly battling with failure and disappointments, Bhima is lonely and eager to succeed. He always had to settle for a second place as a son and a husband. Bhima’s moments of victory go unrecognized and unrewarded. Bhima has a remarkable talent for perceiving and understanding the feelings of others while disguising his own. 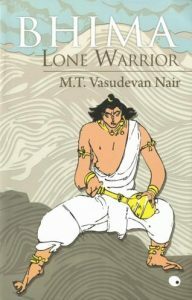 Nair does not want the readers to pity Bhima, but brings forth his bravery, honor and kind nature in the book. He seeks to deconstruct the stereotypical image of Bhima by this retelling of the story from his point of view. Did you know that the Mahabharata was originally titled ‘Jaya’? In this engrossing, illustrated retelling of the Mahabharata, Pattanaik pays attention to and puts forth the forgotten details to the readers. 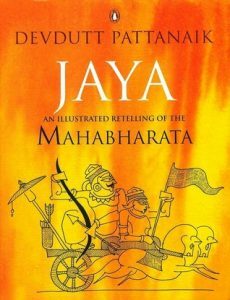 The entire epic woven into 108 meaningful tales, Jaya reveals the eternal relevance of the Mahabharata. Pattanaik has constructed a vivid spectrum of characters and a study of their behaviors to evaluate what led to the Great Battle. The author emphasizes on the fact that history keeps repeating itself unless humans learn not to make the same mistakes again and again. Pattanaik has the kind of reading style that keeps the readers engrossed while being true to the essence of the original epic. 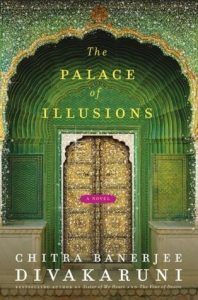 The Palace of Illusions is a reimagining of the Mahabharata narrated by Panchaali- the wife of the Pandavas. The novel traces the life of Panchaali and provides a new insight into the epic that always blamed her for the war. Her duels with her mother-in-law, her complex friendship with Krishna, or her secret attraction to her husbands’ biggest enemy- all events have been intricately woven together in this novel. Divakaruni has managed to breathe a new life into the female characters of a narrative that has always been about men. 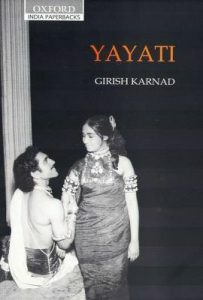 Girish Karnad’s play Yayati is based on an episode in the Mahabharata. Yayati, one of the ancestors of the Pandavas, is given the curse of premature old age by his father-in-law Shukracharya, who is infuriated by Yayati’s infidelity. This curse could be redeemed only if someone would exchange his youth with Yayati. His son Pooru offers to make this sacrifice for his father. The play studies that moment of predicament in which Pooru makes the decision and the dilemma it presents for Yayati, Pooru and his wife. The play is just an episode from the vast epic that the Mahabharata is; an episode that might have been forgotten or not accorded much importance in the multitude of events of the narrative. 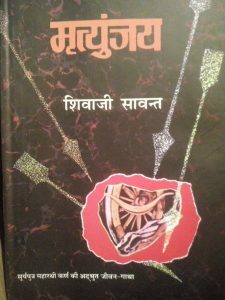 Originally written in Marathi, this book shows the perspective of all main protagonists in the novel, primarily Karn. Through the personae of Mahabharata protagonists, Sawant seeks to investigate the meaning of the complex cosmos that we call ‘life’. It can be called an autobiography of Karn. Not just Karn, the book also lends a voice to Kunti, Duryodhan, Vrishaali (Karn’s wife), Shon and Krishn. The characters are not portrayed as superhuman but are very lifelike and relatable. The background, thought process and narration is equally engaging. A satirical novel by Shashi Tharoor; what’s interesting about The Great Indian Novel is the fact that Tharoor recasts and resets the Mahabharata in the context of the Indian Independence Movement and the first three decades after independence. Tharoor has skillfully blended history and mythology with a tinge of humor and extreme satire. 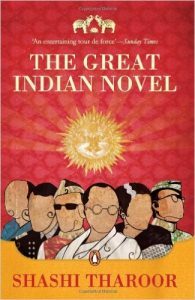 The Great Indian Novel is a political saga. The characters are taken out of the Mahabharata and painted with inimitable traits of modern Indian politicians. The novel is also replete with thought provoking pauses in the narration. The phrase ‘the great Indian’ roughly translates ‘Mahabharata’. 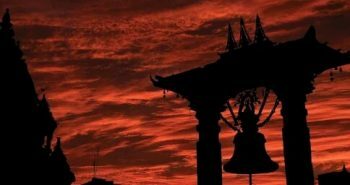 (Maha- Great; Bharata- India). Andha Yug is a five-act tragedy play set in the last day of the Mahabharata war. Written in the years following the 1947 partition, Andha Yug can also be called a colonial depiction of the Mahabharata. The play narrates the story of modern human tragedy using the characters from Mahabharata metaphorically. The play is a reflection on the politics of violence and how war dehumanized the society. The title ‘Andha Yug’ translates to ‘The Blind Age’. Andha Yug is a play that investigates one’s capacity for morality, reconciliation, and goodness in times of violence and exposes what happens when individuals surrender to cynicism of a blind age. 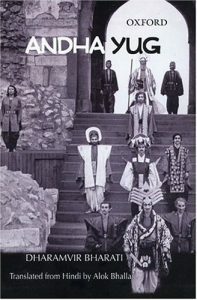 Andha Yug is considered as the one of the most important plays of the twentieth century. 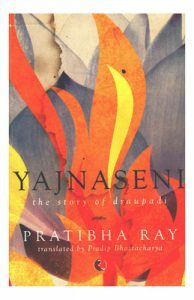 The novel is a feminist presentation f the character of Draupadi. Draupadi has been the most fascinating yet the most suffering and most misunderstood character from the epic. Ray presents a balanced portrayal of Draupadi’s character and divulges deep into the broader aspects of her mind and thought process. One often tends to stigmatize the character of Draupadi and blame her for the war. This book attempts to break this stigma. People compare this book with ‘The Palace of Illusions’ whereas the very narration and characterization of this book is quite different and equally gripping. 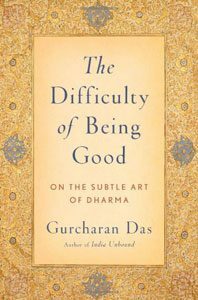 In this book, Gurcharan Das studies the characters of the Mahabharata to analyze and answer the question ‘why be good’. The incidents in the Mahabharata are replete with the notions of ‘Dharma’ – doing the right thing. Das intends to show that the experiences and moral blurriness of the characters is closer to our experiences as normal human beings. Each chapter in the book looks at a different character from the epic, analyzes an episode from the epic and evaluates the morality of the situation. 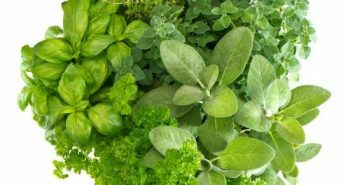 The book reinforces one’s belief in doing one’s best and not worrying about the results using relevant instances and examples from the epic.